How do I talk to Dad about his dementia and driving? Home > Learn > The Basics > Alzheimer's FAQs > How do I talk to Dad about his dementia and driving? It’s one of the most challenging problems for family caregivers. What do you do when your family member with dementia still insists upon driving his or her car? “I was a nervous wreck about Dad’s driving,” remembers Lisa H., a family caregiver. “I confronted him, begged him, and argued with him, to no avail. The more I pushed, the more he pushed back. Because he was marginally legally competent, I couldn’t force him to stop.” Fortunately, after a couple of scary incidents, this man made the decision himself that it was time to quit driving. Others may not be as amenable to change. “My uncle did fine for many months driving around his small town, during the daytime, on a route he knew well,” says Jenny M., another caregiver. “I hated to take away his car because it meant so much to him, but we kept on eye on the situation and talked to him about it early on.” In this case, the family eventually insisted that he only drive with a “co-pilot” who could help him navigate and provide feedback and support. Alzheimer’s disease and the other dementias tend to be slow and progressive. Early on, the person with symptoms of dementia begins to lose skills and judgment, but might still have adequate driving skills. As dementia progresses, driving is impaired by poor judgment (the person may drive in terrible weather), memory loss (the person may get lost), problems with reasoning and problem solving (the person may be unable to understand signage or an unfamiliar detour) and fatigue (the person may fall asleep). When these factors develop, taking the wheel makes a driver truly a danger to society and him or herself. The following tips may be helpful to you when it’s time to talk to a family member about driving and dementia. Explain the situation directly and share your feelings of concern and worry. Sometimes this will work. Recognize that your loved one may genuinely worry about losing his or her independence and being cut off from familiar friends and activities. Offer alternatives like a senior transportation service, a taxi, or rides from another family member. When choosing in-home help, look for someone with a valid driver’s license. “A well-trained and supportive caregiver becomes the life-line for a person with dementia and can take them on drives to the market, medical appointment, or social events,” says Paul Hogan, co-founder of Home Instead Senior Care®, an international in home care company that has helped thousands of Alzheimer’s families. Don’t become the bad guy. Encourage the person to quit driving because it is the doctor’s order or the wishes of the family as a whole. You can also hire an expert to give an independent driving evaluation and agree to follow his or her advice. Many state motor vehicle departments provide this service or can suggest names. When a person becomes quite confused or disabled, drastic steps may be required, such as hiding the keys, disabling the car, or removing the car altogether. One family simply told dad that his car was in the shop. He accepted the explanation and the problem was solved. For additional advice on having difficult conversations such as this, take a look at Home Instead Senior Care’s 40/70 RuleTM program, which if full of helpful advice and scenarios for these challenging situations. 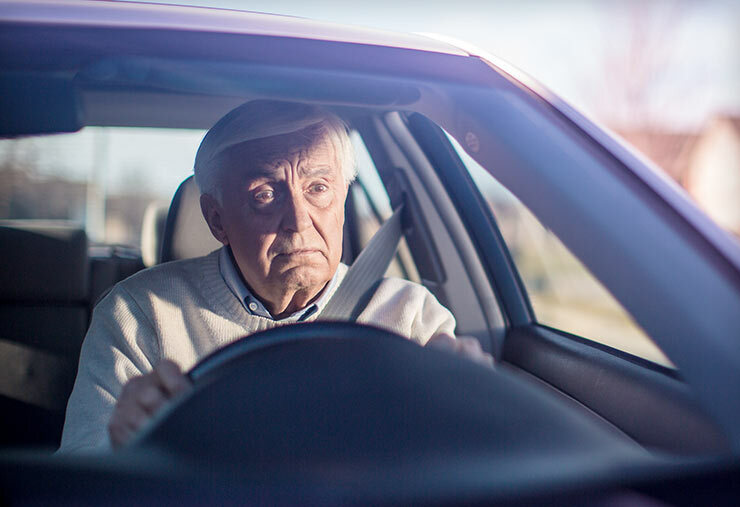 Most professionals support the basic privileges and rights of people with dementia, and forgetfulness alone is not a reason to strip someone of the right to drive. As a family member, you need to be supportive yet vigilant. When the ability to make good decisions vanishes, it’s time for tough love. Laurie Owen from Home Instead Senior Care and Dr. Jane Potter from the University of Nebraska Medical Center will discuss the lifestyle changes for patients with Alzheimer's disease or other dementias.